As promised on our FB Group page, we bring you our first tutorial (sort of). Ever get frustrated when you find the perfect skirt, on sale, your size BUT it’s too short?? Been there and done that plenty of times. So one day, I got so sick and tired of being pushed around by short skirts, I started to fight back. 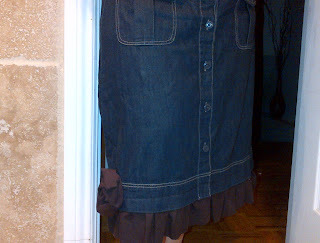 Below I’m going to show you (attempt to) how you can easily add beautiful ruffles to most skirts! They just blend in with the skirt and makes it unique to you. 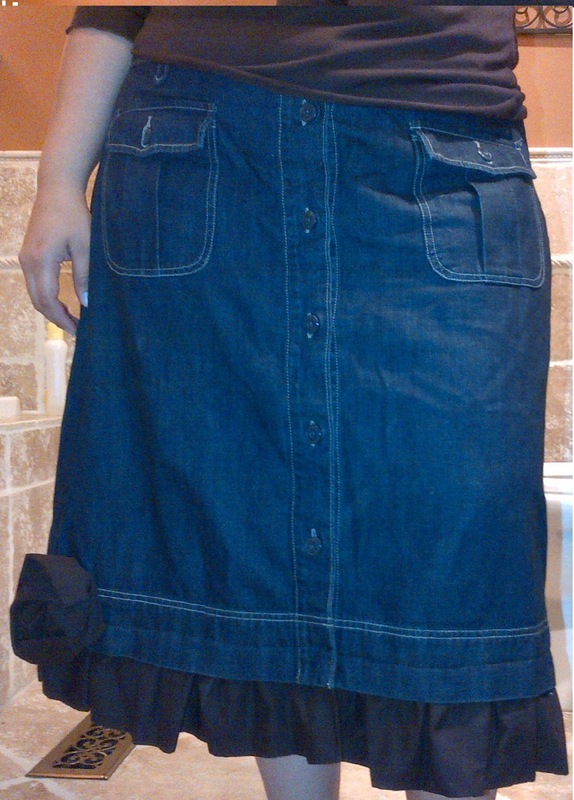 For the next tutorial, I’ll take pictures as I work on the skirt, not when it’s been already done. You either use a sewing machine to finish faster or do it the old fashion way, via hand. I have a sewing machine but am lazy to bring it out, so I’ll spend hours and hours doing via hand. 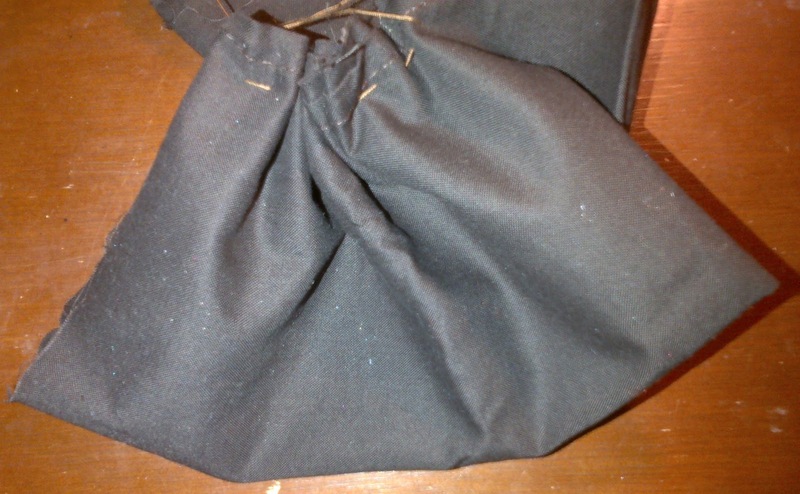 LOL….okay so it doesn’t take hours and hours, but expect to spend a good 2 hours on this if you're hand sewing. If using a sewing machine, you follow the same technique. 1. First step is to grab a piece of fabric (from your scrap box) or go buy some matching fabric at your nearest fabric store. The amount of fabric you are going to use really depends on how much length you want to add to the skirt and how open the skirt is. If it’s a princess type skirt you’ll need much more than you would for a pencil skirt to go all the way around. I’m usually safe by buying a meter of fabric. If you are unsure, take the skirt to the fabric store and ask the clerks how much they think you’ll need. 2. Since I do this via hand, I get lazy to do a hem, so my solution is to fold the material in half, iron it really well and viola! The hem is done. 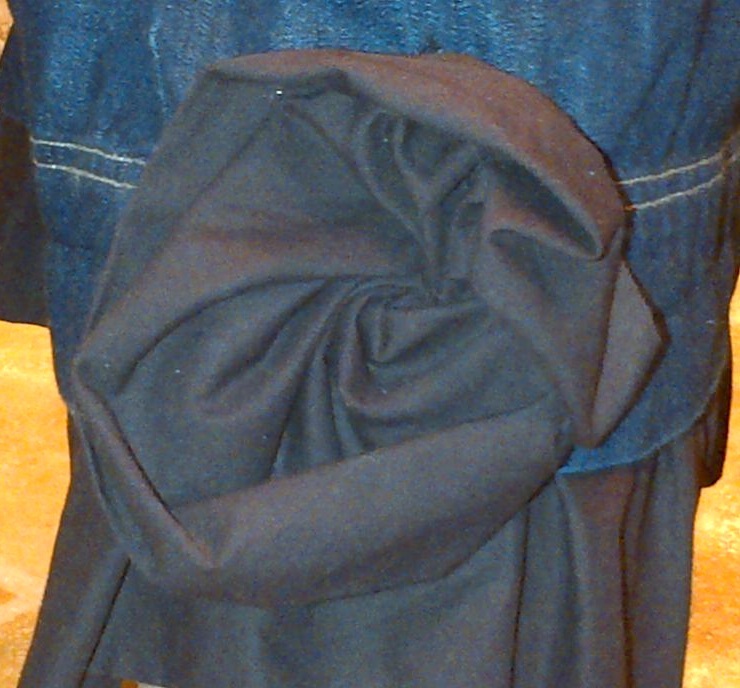 Once you start to do the ruffle it will look something like this. 3. I learned to create the ruffle by actually following this flower tutorial. It’s is important that you use a big Needle when doing the ruffle for the skirt. For the skirt you will need much more material than you would for a small flower (that’s a given). The tutorial worked really well in creating the ruffle because you follow the same technique and instead of closing the fabric, you just keep going and going and going. If you run out of thread, tighten the ruffle, and close with a knot that will never open, yes never. Then restart from where you left off. 4. Once you have created the ruffle it is time to add it to your skirt and see your beautiful creation come alive. My suggestion is to not close the ruffle until you've added it to your skirt. 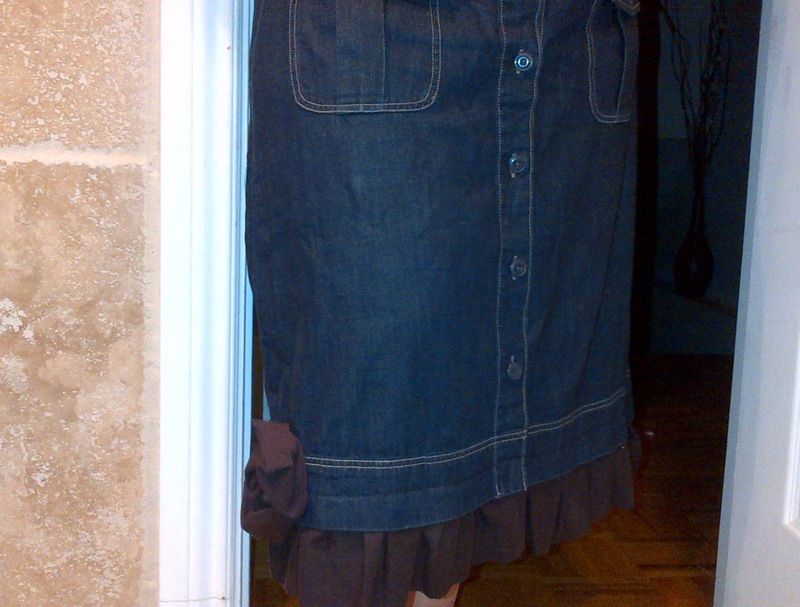 By closing it, it will be harder to work with when adding to the skirt. 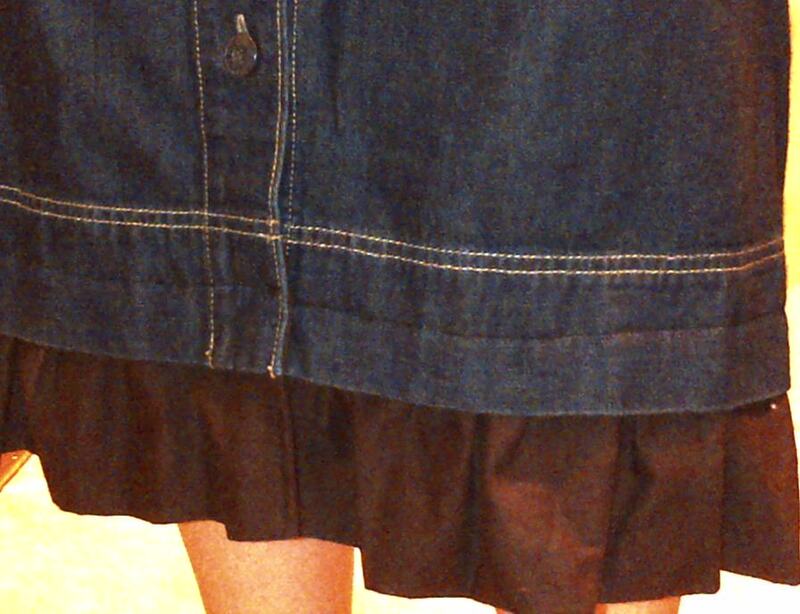 To add the ruffle to the skirt I use a smaller needle. 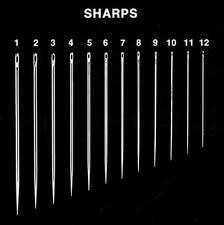 The fabric shops, sell inexpensive packages of different size needles, it would be wise to invest in these. I use a smaller needle and leave much more space between each stitch so that it is little noticeable that the ruffle is an add on. 5. After you’ve added the ruffle, it’s time to add the flower or bow or whatever you want to add for a nice touch. To create this flower I used the same technique as in video at step 3. I have been meaning to add a button or some pearls to make it look more like a flower but keep forgetting! You can do that as well. 6. Viola you are done! Aren’t you proud? I hope you enjoyed this mini tutorial! I think this is an easy way to make your skirts more modest and unique to you. Skirt originally from Old Navy purchase at $15 on Sale. Love the skirt! Great Job Natalie :).. I really want to do that flower for sure!